Help the JP Progressives honor an esteemed member as the JPP Activist of the Year! 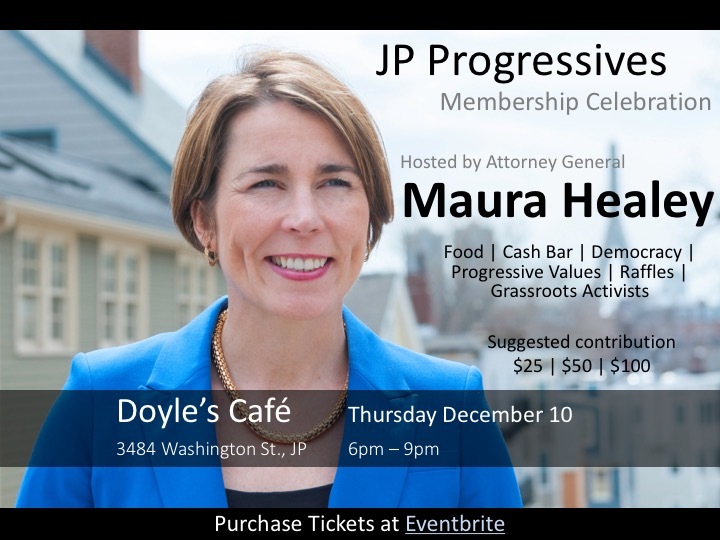 At our December 10 Membership Celebration, we will be honoring a good friend and supporter to the JP Progressives, our neighbor Henia Handler. 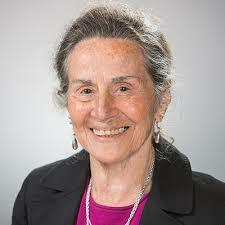 Henia has been a steadfast progressive, working for justice and equality in the community for decades. Henia remains eager to help candidates today. When Senator Ted Kennedy needed more information about HIV/AIDS policy he called Henia. He knew that for decades she has been a passionate advocate for quality healthcare for all, and especially for the LGBTQ community. When Senator Elizabeth Warren needed a JP stop for her pre-campaign listening tour, she called Henia and her beloved husband Joel. Henia’s living room helped launch an historic campaign. Who calls Henia? Only Governors, Mayors, Councilors, State Reps… and the JP Progressives. Henia has canvassed tirelessly for progressive candidates. We hope that as JP Progressives, we can follow her example into the future. Join Maura Healey, your neighbors, and fellow activists to honor Henia on Thursday December 10.